Former Green Party minister Trevor Sargent is looking forward to offering people a service without the self-promotion of politics. Mr Sargent will be ordained a priest today at the Church of Ireland Cathedral in Co Waterford. The former leader of the Greens, who is a committed environmentalist, described his ordination as “a very momentous step” and said he expected it to be an “ecumenical” occasion, with politicians from a number of parties expected to attend. Speaking to the Irish Independent ahead of the ceremony at Christ Church Cathedral, the 58-year-old said some Green Party friends would be there and he would be “delighted to see them again and renew old acquaintances. It will be new friends and old friends coming together”. The former politician and teacher, who taught in Cork and Balbriggan for 30 years, said there was a common thread throughout his career. “One of the core principles of ecology is the interconnectedness of all life. There is a continuum in my work in teaching, politics and the Church, with overlapping of elements such as pastoral care, service and a desire to work with people,” he said. Being a priest, he said, is about “promoting Jesus Christ and working with people to show them that as difficult as life might be, there is always hope and always possibility”. Rev Sargent will serve in the Waterford Union of four parishes, incorporating Waterford city, Tramore, Dunmore East and Annestown. Following his ordination, he will live in the rectory in Tramore beside the church. 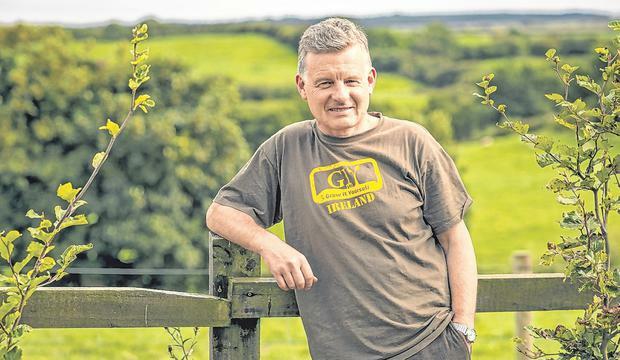 “You might as well say I am living over the shop, I’ll be on call where I am living in the parish.” Days off will be spent at his home in Curracloe, Co Wexford, with his wife, Áine Neville. Asked how he will remain ‘Green’ as a priest, he explained he is involved with Eco Congregation, an ecumenical body that works with parishes to encourage an ecological ministry. His first holy communion will take place at 10am tomorrow in Waterford Cathedral. He will then travel to his own parish of Tramore to celebrate holy communion and his parents and family will attend this “joyful and happy” occasion. Though his wife is Roman Catholic, she and her family are “very supportive” of him.